This picturesque hillside village is one of the most beautiful ‘Villages Fleuris’ in France. Inundated with golden mimosa blossoms in February, it is covered in flowers during spring. Its coastline is home to beautiful beaches and the famous Brégançon fort. 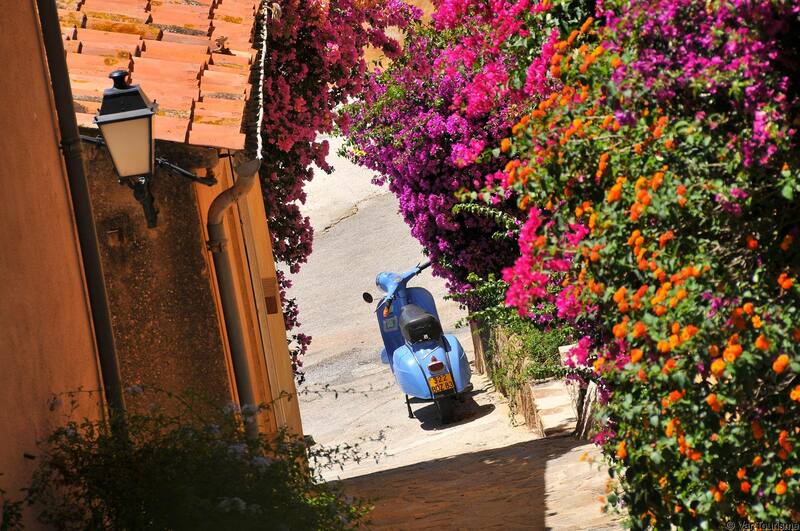 Bormes is also a village with a chequered history, at the foot of its feudal castle, idyllically-named streets and alleyways (Rompi-Cuou, Venelle des Amoureux, Plaine des Anes…) that are perfect to wander down. As you wander, you will see rampart remains, sculpted porches, archways and several ‘cuberts’ (covered walkways). Don’t miss: the guided tour of the old village and the guided botanical visits! The walk along the coastal path is unmissable. Large vineyards, arranged around castles, border an unspoiled rocky coastline interspersed with fine sandy beaches (Pellegrin, L’Estagnol, Cabasson, Brégançon). Further away is an islet, now attached to the mainland by a dyke, where Brégançon fort – the former residence of the Presidents of France – watches over this little piece of paradise. 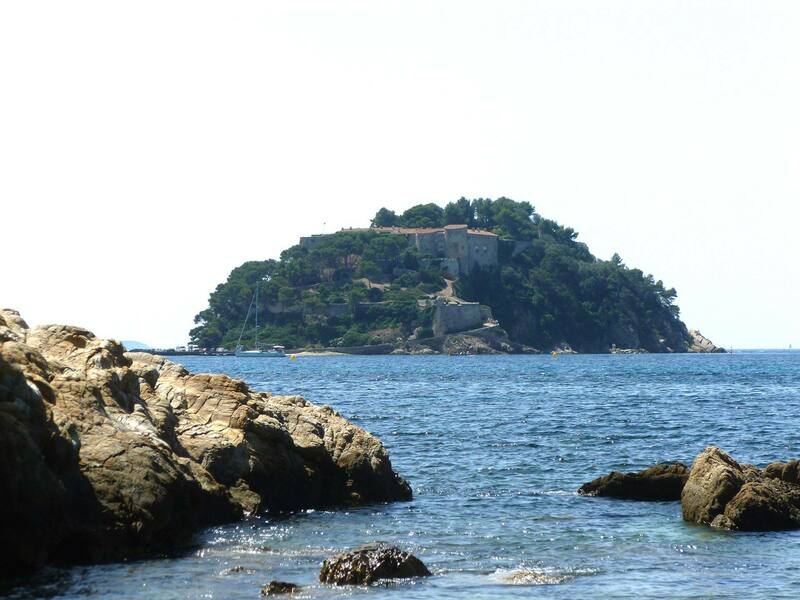 Built on a rocky peak, Brégançon fort offers stunning views over the Mediterranean. Built during the Merovingian era, it has had numerous occupants before becoming State property during the French Revolution. 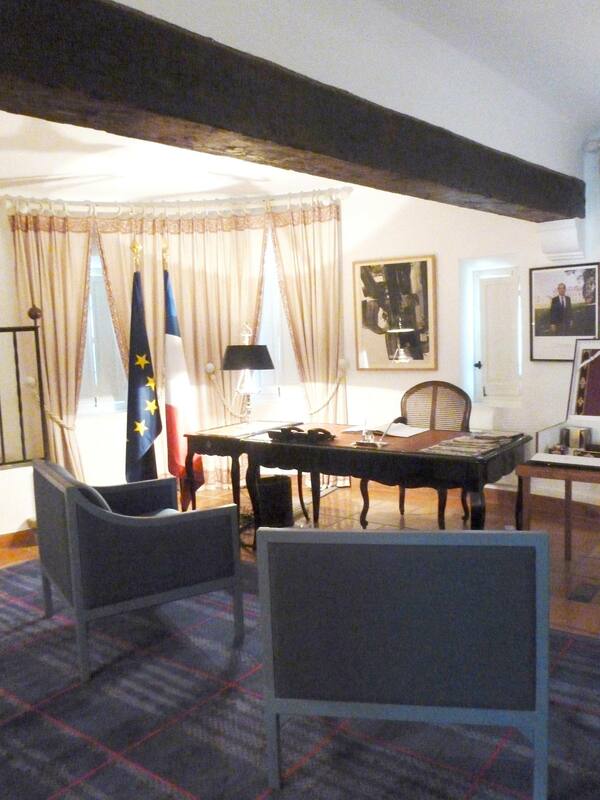 In 1968, General de Gaulle made it an ‘official residence of the President of France’, before François Hollande decided to open it to the public in 2012. The monument contains several gifts received from Heads of State during the 5th Republic. Open to the public during the summer, your guide will show you the ground floor rooms: living room, dining room, meeting room and the President’s study, as well as the gardens and parapet walk. Pautrat "Le Pichot du Moulin"